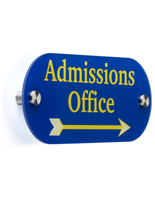 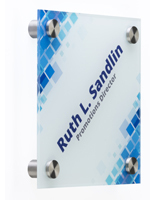 6" x 3" 6" x 6" 8" x 2"
Create wayfinding and directory systems in your reception area with this custom acrylic standoff sign. 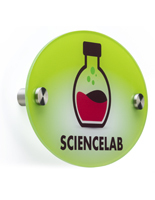 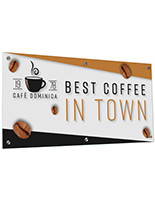 The signage solution is printed with UV technology for clear images and accurate color representation. 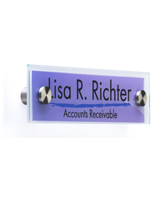 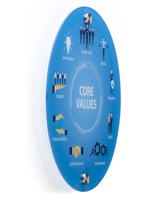 Each 8.5” x 11” acrylic standoff sign comes with silver hardware for mounting on the wall of your office, reception area, campus, or other corporate setting. 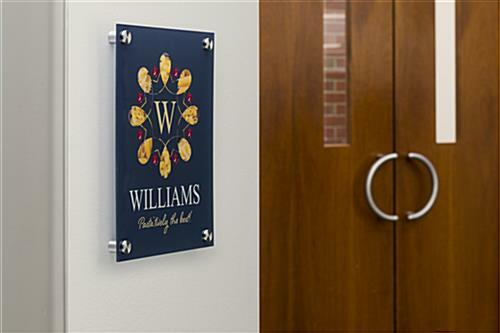 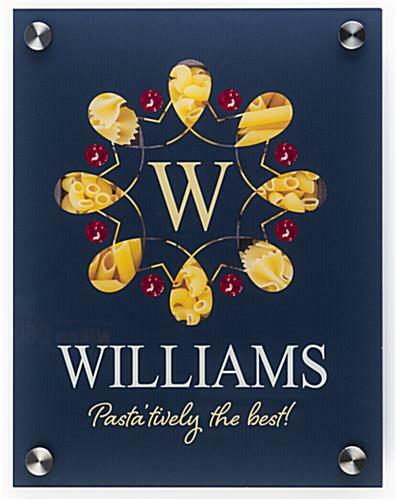 Design the signage solution with complete personalization using the downloadable templates that can be found below. 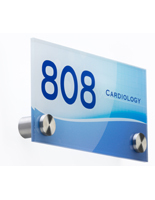 Each clear plastic wayfinding system is printed on the second surface to protect it from scratches. 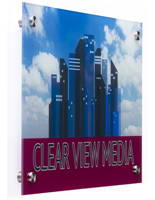 Mount an acrylic standoff sign on your door or wall to showcase your business with a professional design. 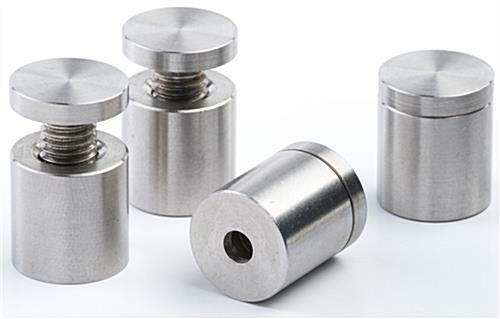 8.5" x 11.0" x 1.0"